Seattle is putting fences under some bridges where homeless camps set up. The city says it’s to prevent fires, but some City Council members are pushing back. 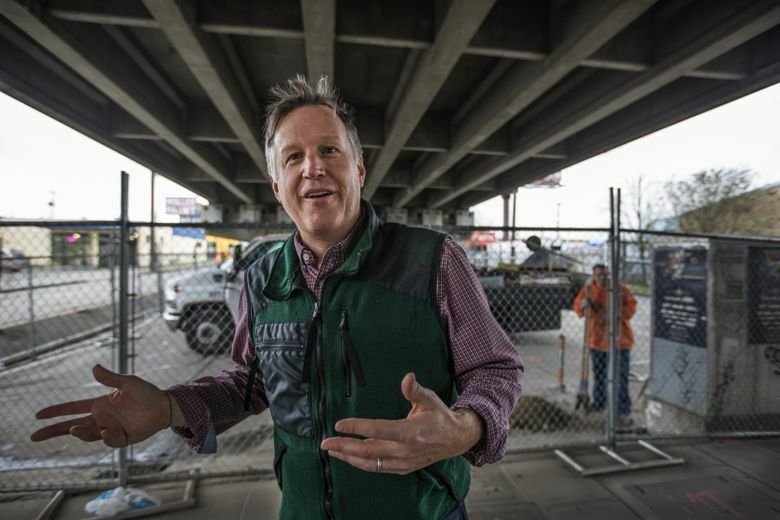 When Mike O’Brien, Ballard’s Seattle City Council member, biked up the Ballard Bridge last Thursday night, he counted five tents camped under the north ramp. He went back Tuesday, and those tents were gone. 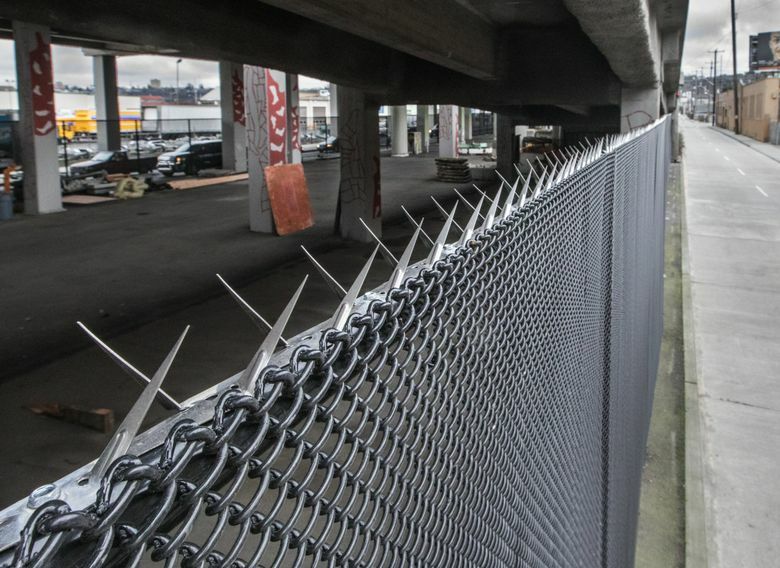 The underpass was fenced off, and workers were drilling holes to put up a 10-foot-high spiked fence to prevent homeless people from camping there. The price tag on this fencing: $100,000 for both sides of Northwest Leary Way at the Ballard Bridge. That money, O’Brien reasoned, could have housed those five households in apartments for a year. O’Brien’s question underscores the ongoing public debate about where the estimated 5,500 unsheltered homeless people in King County should be allowed to camp. 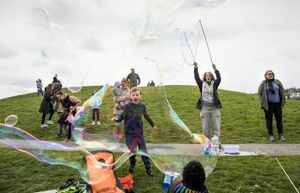 As Seattle has opened six authorized tent camps in the past two-plus years and deployed a team to coax people out of hundreds of unauthorized camps, it also has increasingly used fences and other infrastructure to close off some public spaces. Seattle’s Department of Transportation (SDOT) installed bike racks in Belltown last year, and told The Stranger in December they were explicitly designed to keep people from camping there. Backlash has gradually built among City Council members. 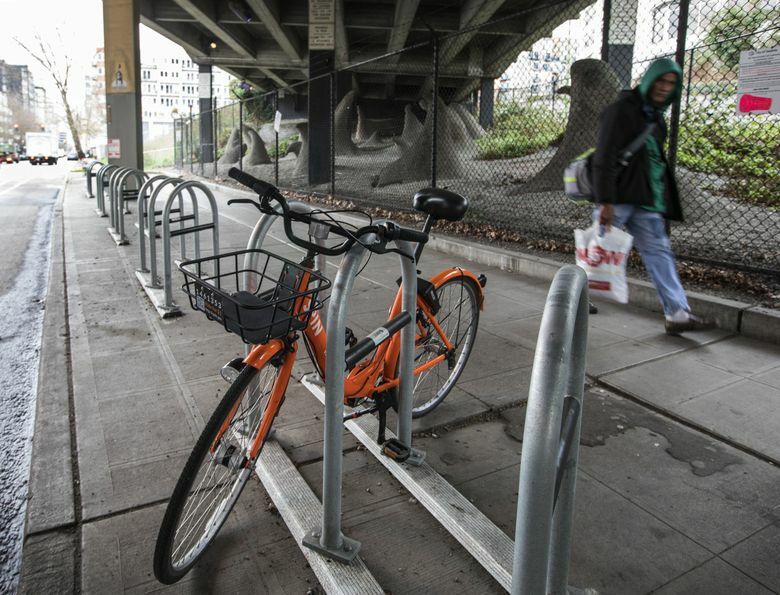 In December, Councilmember Teresa Mosqueda wrote a letter to SDOT’s director criticizing the use of bike racks to discourage camping. “Continuing to advance the notion that hostile architecture should be used to inconvenience those who are unsheltered is misguided,” Mosqueda wrote in the letter. The agency plans to remove the Belltown bike racks in the next four to six weeks, SDOT said in a statement. But SDOT does not plan to halt construction of the fences in Ballard because they are important for safety, the agency said — a position shared by at least one Seattle business group. “SDOT’s focus is to maintain the structural integrity of the bridge and keep our communities and commuters safe, especially following a series of reported fires,” SDOT said in a statement. There have been two fires under the Ballard Bridge, one in 2013 and one in 2016, according to SDOT, as well as at least nine other fires under bridges and viaducts around Seattle since 2004. Those repairs have cost $380,000, according to SDOT. The use of infrastructure to discourage sleeping or camping by homeless people is known as “hostile architecture.” It can be as explicit as the city of Spokane’s dumping tons of basalt boulders under Interstate-90 last fall to discourage people from camping, or Tacoma dropping boulders on a grass parking strip where people congregated a year before. It can be as subtle as the benches with armrests every few feet outside Seattle City Hall, making it hard to lie down. If you have a place to sleep every night, hostile architecture can be hard to spot, said Sara Rankin of the Homeless Rights Advocacy Project at Seattle University School of Law. But the fences aren’t exactly covert; they’re pretty obvious, Rankin said. This isn’t the first time this approach has been tried. In the Sodo neighborhood, Seattle and Washington state spent $1.1 million to make sure people don’t sleep under the Spokane Street Viaduct. In the past year, the city has repeatedly closed and swept away camps that sprang up under the Spokane Street Viaduct, after a fire that burned two motor homes and later, a shooting that claimed the life of a 31-year-old homeless man. O’Brien planned to ask SDOT interim director Goran Sparrman about the Ballard fences in a transportation- committee meeting Tuesday, but Sparrman didn’t attend. O’Brien said he understands the desire to fence off areas where people keep camping, but he thinks it’s useless and wasteful. “It serves this kind of immediate desire to feel like you accomplished something, but it doesn’t solve the problem. In fact, it makes it worse,” O’Brien said.